Year and Festival in Transmart Cilandak will soon be done! 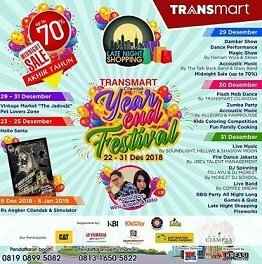 For those of you who are confused about how to enjoy their new year, you can just come to Transmart Cilandak because there will be a Year and Festival event. Come and show the show!